Digestion slows down due to poor dietary intake, consumption of foods which are hard to digest, presence of microbes and toxins, and due to poor functions of digestive organs. Ageing, lethargic lifestyle, lesser water intake, medicines, environmental pollutants, contaminated food and water, and presence of any other health disorder can lead to slowness in digestion. If digestive system is weak and upset person is unable to consume and digest food properly. Body gains energy and essential nutrition from food only, if volume of diet is less or body cannot gain energy and nutrition from food it keeps on becoming weaker with every passing day. Ayurvedic medicines to improve digestion are tremendously beneficial remedies to maintain health and vitality. Due to slow digestion numerous disorders can creep-up as body is unable to provide necessary support to systems in the form of energy. Organs become weak and sluggish and body experiences severe debilities in muscles, bones and joints due to poor digestion. Ayurvedic medicines to improve digestion not only resolve the problem but reverse debilities and provide optimum physical and mental health. There are variety of foods which humans need to eat, some of these are complex and hard to digest while some are moderately complex and some easily digestible. Along with nutrition food items come with toxins and anti-nutritional compounds, body should be able to digest all kinds of food items within few hours and remove toxins and anti-nutritional compounds and absorb nutrition. If body takes longer to do so it allows toxins and harmful agents to settle down in digestive system and there is higher release of acids and gas in stomach. This process gradually cause weakness in entire digestive system, promotes build-up of toxins, microbes and other harmful agents, and raise issues like bloating, acidity, constipation which reduce dietary intake. 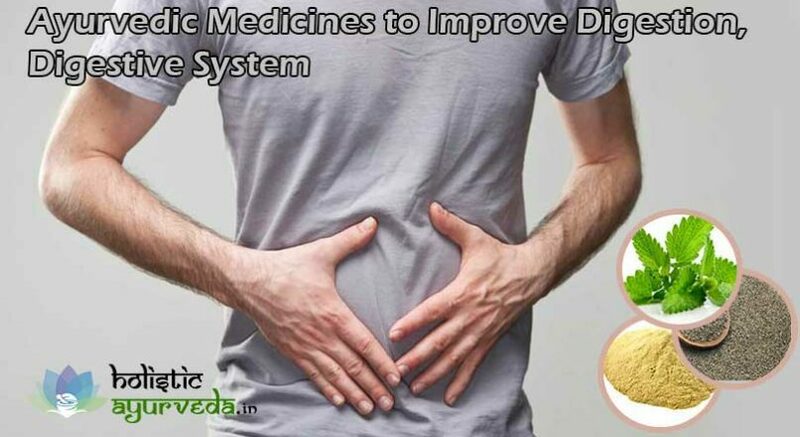 Ayurvedic medicines to improve digestion break this vicious circle by supplementing nutrient in bioavailable form so that these get absorbed without getting digested, and cleanse digestive system to make it free from worms, acids, toxins, microbes and harmful substances. Ayurvedic herbal medicines to improve digestion along with nutrients supplement enzymes which digest complex food items quickly and increase secretion of bile and other hormones so that body gains healthy digestion in a short time. This spice is used commonly in cooking but has powerful properties to treat digestive disorders and increase efficacy of digestive system. It is used in Ayurveda as Ayurvedic medicine to improve digestion. This curbs gas and acid formation during digestion and expels toxins from intestines. It comes with enzymes which metabolize complex food items faster and dissolve harmful acids accumulated in stomach. It increases appetite and is powerful anti-microbial. It treats abdominal pain and cramps and disorders like acidity, belching, flatulence etc. 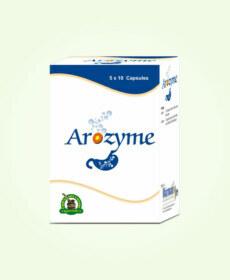 It is recommended to treat anorexia and is very useful for children to eradicate worms from stomach. This spice too has potency to work as Ayurvedic medicine to improve digestion. 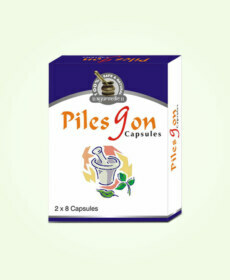 This regulates bowel movements and ensures smooth and complete removal of waste matter to prevent toxin build-up. It increases urine output and cures problem of water retention in body and digestive system. It is appetizer and helps in digesting complex fatty, simple carb, protein and other kinds of foods quickly. It reduces acidity and presence of chemicals in digestive system and maintains healthy acid-alkaline balance. Overall properties of this herb increase appetite, improves digestion and defecation, and treat disorders and allergies. This herb is tonic for liver and promotesits health and functions. By improving liver functions it works as excellent Ayurvedic medicine to improve digestion. It cleanses liver and makes it free from toxins, helps in metabolizing fat and sugar, and nullifies excessive acids in stomach. It expels excessive gas, treats ulcers, improve colon functions and prevent abdominal pain and cramps due to spasms and hyperacidity. This is antipyretic, anti-microbial, anti-inflammatory, antacid, cooling, diuretic and clears congestion. It regulates proper defecation and is appetizer. Its aroma is excellent for releasing enzymes in mouth and esophagus which promote smooth digestion of food. It treats problem of fullness after eating small portion of meal and regulates healthy eating pattern by curbing untimely hunger and cravings to eat after regular intervals. 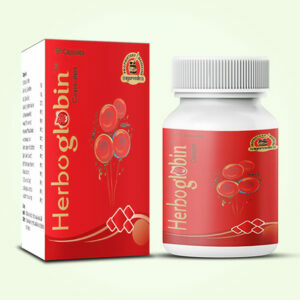 It maintain blood free from harmful toxins and fat. It promotes absorption of fat into fatty acids so that body can utilize it for energy production thereby reducing level of cholesterol in blood. It is wonderful aid for skin problems and keeps skin healthy and shiny by maintaining purity of blood. Herbozyme possess all these Ayurvedic remedies to improve digestive system in perfect dosage. These pills are Ayurvedic remedies to improve digestion which work for people of all ages.These are mild and effective and can be used with any other treatment. Ayurvedic treatment for indigestion provides long-lasting results as it improve functions of entire digestive system by promoting health of vital organs. Ayurvedic remedies to improve digestive system provide effective cleansing and free digestive system from toxins, microbes, acids and harmful chemicals. Ayurvedic remedies to improve digestion increase enzymes and their activities and metabolize fat, sugar, protein and simple carbs faster to prevent acid and toxin build-up. This Ayurvedic treatment for indigestion increases appetite and prevents formation of excessive gas which slows down metabolism and harm health. 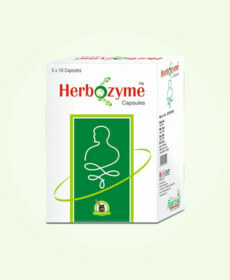 Buy Herbozyme Ayurvedic Herbal Treatment for Acidity and strengthen digestive system naturally.